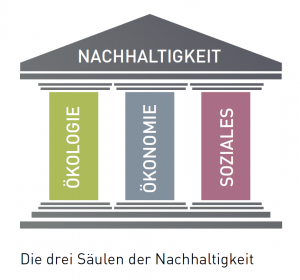 Sustainable development | IBU - Institut Bauen und Umwelt e.V. The term ‘sustainability’, as a concept for the conscious use of available resources, can be traced back to the Saxonian mining administrator, Hans Carl von Carlowitz. In his book on forestry, ‘Sylvicultura oeconomica’, first published in 1713, Carlowitz was the first to formulate the principle of sustainability, for securing the long-term supply of wood. His principle: Harvest only as much wood as can be regenerated, so that a permanent supply of wood will remain available. In the 20th century, the Club of Rome’s 1972 study on the ‘limits of growth’ (by Dennis Meadows, among others) marked an important milestone for the scientific discussion regarding global development in relation to the challenges of such factors as the shortage of resources needed for population growth, food shortages, and environmental degradation. With the Brundtland Report and the subsequent 1992 UN Conference for the Environment and Development in Rio de Janeiro (also known as the Earth Summit or Rio Conference), this definition of sustainability became engrained: one in which social, ecological and economic goals were given equal standing as a foundation in the pursuit of global political strategies. Important results from the Rio conference included, among other things, Agenda 21 – a plan of action for sustainable development, and the United Nations Framework Convention on Climate Change (UNFCCC). 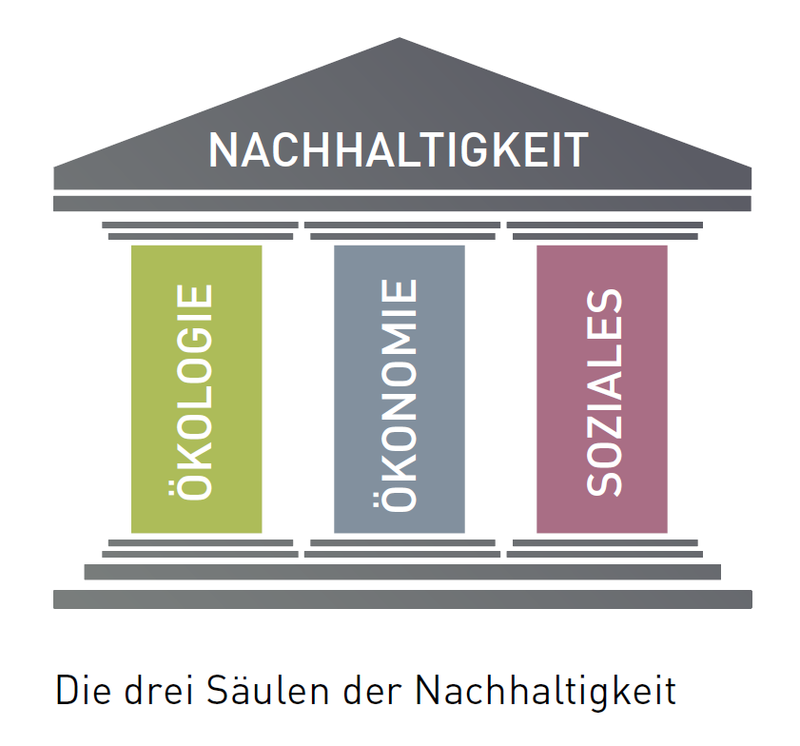 Other organisations, including the 1998 Enquete Commission of the German Bundestag, began to establish the equivalence and simultaneity of ecology, economics and social responsibility as a three-pillar model. From 2000 to 2015, the Millennium Development Goals (MDGs) formed the framework for a global development policy. Initially, verifiable benchmark values for a successful cooperation regarding development were set with a total of eight objectives. Before the MDGs expired, there was a negotiation phase that lasted several years and was concluded with the World Summit on Sustainable Development at the United Nations headquarters in New York in September 2015. More than 150 heads of state and government as well as many ministers and leading politicians took part in this world summit and the United Nations agreed on the goals for sustainable development within the framework of Agenda 2030. Agenda 2030 for sustainable development integrates the previously separate UN processes on sustainability and development. On the one hand, this concerns the process initiated at the World Summit in Rio de Janeiro in 1992. On the other hand, the process initiated with the adoption of the MDGs. The basic idea behind Agenda 2030 is that sustainable development and true well-being – beyond pure materialism – are only possible if the environment and climate are protected and preserved. If all people are equal and no one is exploited. The MDGs will be replaced by 17 targets including 169 objectives and are to be achieved between January 2016 and December 2030. They are referred to as Global Goals or Sustainable Development Goals (SDGs), which set specific and verifiable objectives for more sustainable development. Agenda 2030 equally applies to industrialized, emerging and developing countries. All UN member states have the responsibility to act accordingly. A major responsibility rests with industrialized countries. Moreover, countries such as Germany are requested to support other countries in implementing their goals with the help of an appropriate development cooperation with other countries. Agenda 2030 and the SDGs are aimed at governments, civil society, the private sector and academia worldwide. The German government has committed itself to implementing the goals of Agenda 2030 at a federal level and has decided to further develop its federal sustainability strategy (first edition 2002, last progress report 2012). The new edition adopted in January 2017 is known as the German Sustainability Strategy (DNS). It describes the implementation of Agenda 2030 in and conducted by Germany and also with Germany’s partner countries. In this context, sustainable development is understood as a joint task that requires long-term joint commitment on the part of all stakeholders. These include the federal states, local authorities, businesses, academia and civil society. The DNS is structured according to the 17 international development goals of the United Nations. Specifically, these include poverty reduction, equal rights, responsible consumerism, climate protection as well as peace and fairness. To illustrate the impact of the sustainable development project, sustainability assessments are carried out using clearly defined indicators within the DNS framework. Conserving resources, preserving ecosystems and fighting climate change are – among many others – components of the indicator system of DNS. The construction industry offers enormous potential, as resource and energy requirements, greenhouse gas emissions and waste generation are particularly high in this sector. The German construction industry accepts this responsibility by making efficient and environmentally responsible use of resources throughout the entire value chain. Sustainability in construction is based on a three-pillar model. In addition to ecological, economic and socio-cultural aspects, technical quality and process quality are of particular importance. The Sustainable Building Rating System (BNB) and other building certification systems describe and evaluate the quality of buildings with regard to their sustainability on the basis of standardized criteria.